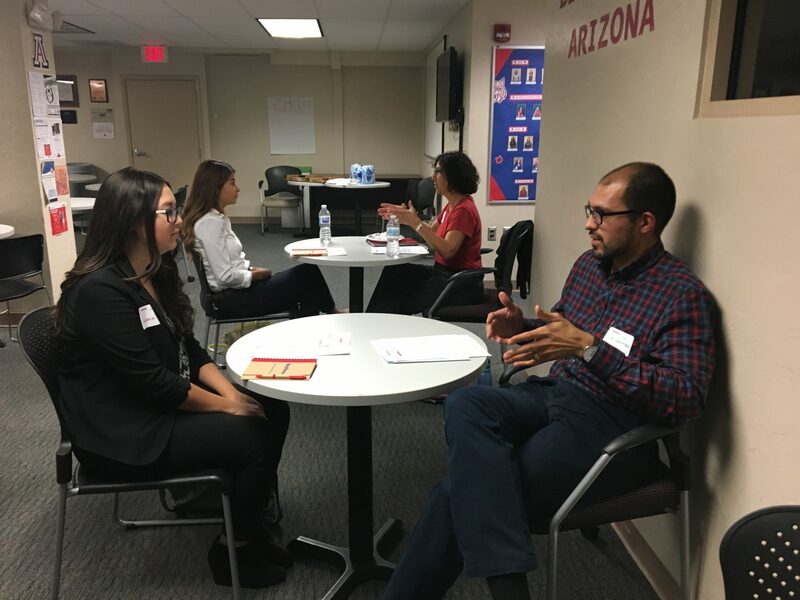 Earn to Learn and Raytheon kicked off a new business mentorship program with a speed-networking event on Sept. 21, 2017, at the University of Arizona’s Office of Academic Success & Achievement. 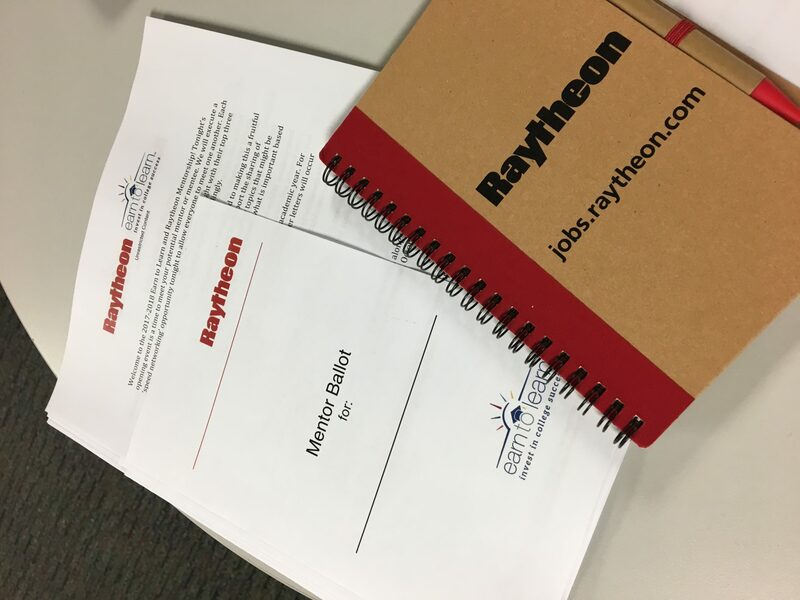 The program matched seven Earn to Learn students with Raytheon professionals working in fields related to their major. 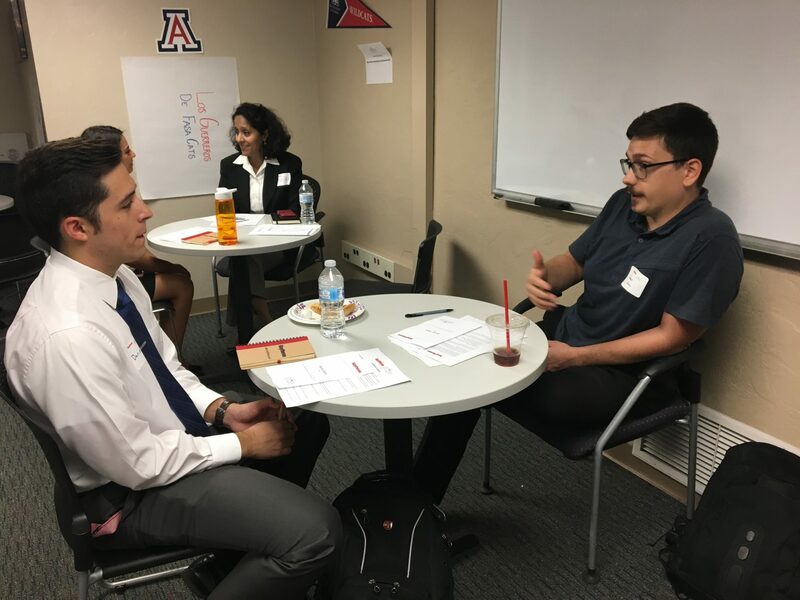 The students, primarily majoring in engineering and information technology at the University of Arizona, were recruited from among Earn to Learn’s current student through a selective application process. 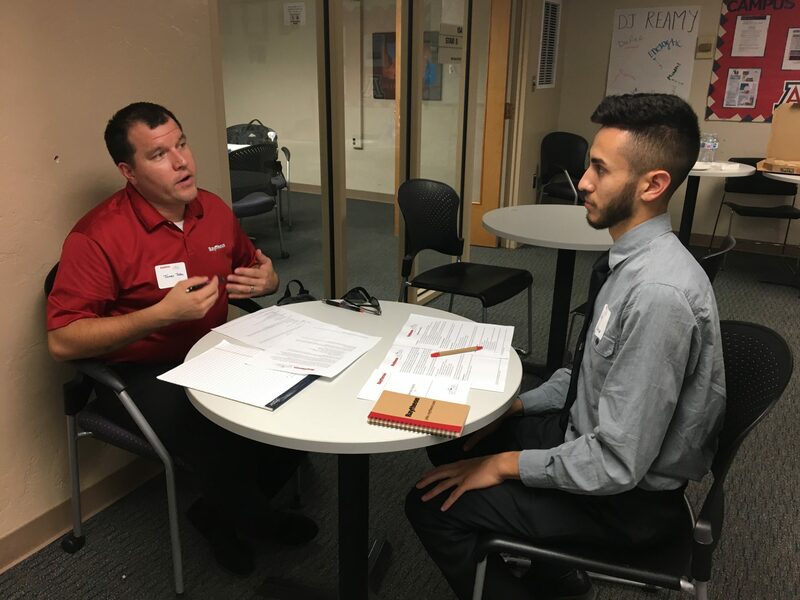 They will meet with their mentors monthly during this academic year to discuss their studies, career preparation, and the realities of working for a company such as Raytheon. 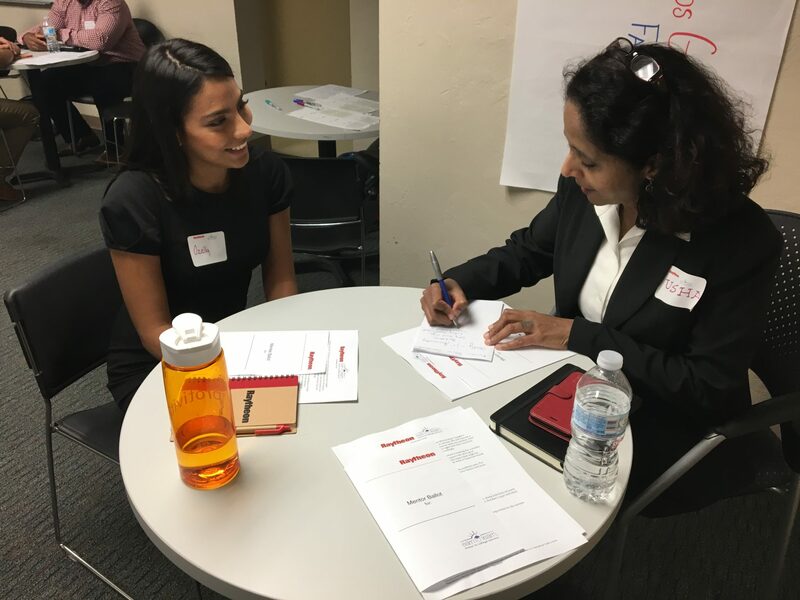 The Raytheon mentors, who work in engineering, information technology and project management, will provide guidance in resume preparation, internships, planning career pathways, and professional growth. Monthly emails from Earn to Learn will suggest career topics to keep the pairs’ discussions on track. 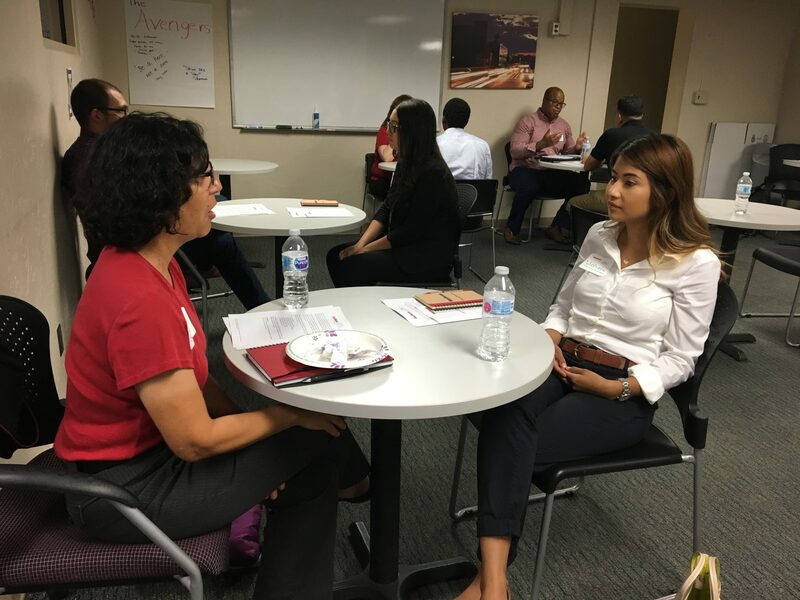 Between regular meetings, participants will socialize together at networking events and take a tour of Raytheon facilities. 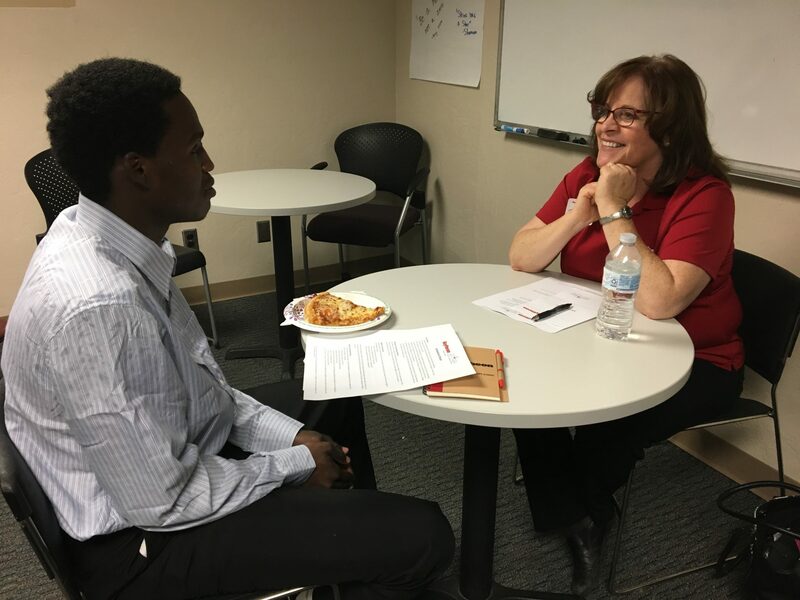 Earn to Learn is exploring a number of workforce readiness opportunities for students, including mentorships, internships and job shadowing. 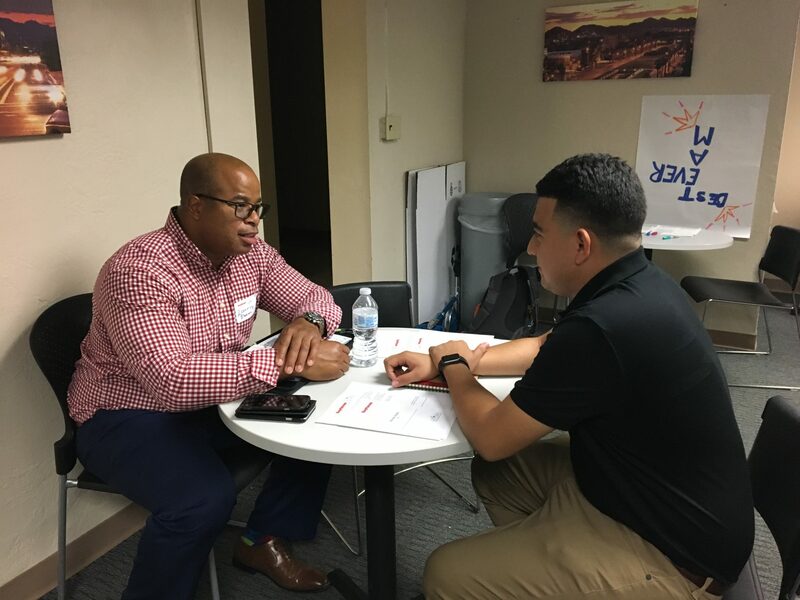 This partnership with Raytheon is a great start.